Stella Maris Academy's Outreach to the Poor programs continue to be directed toward developing among our students a moral sensitivity toward the poor by involving the students in many programs to benefit those in need. Recycling to raise funds for the poor. SMA families collect aluminum cans and bottles to be recycled. All proceeds are given to the missions. 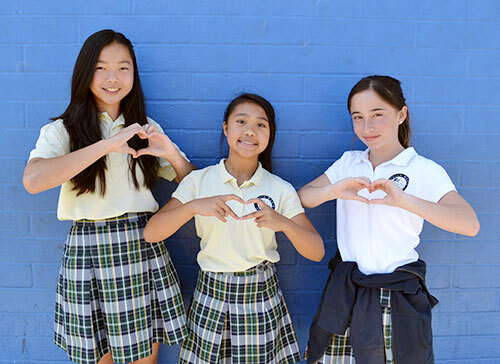 Throughout the year, Stella Maris Academy participates in the Holy Childhood Non-Uniform Days and the Catholic Charities Food Resource Center's Monthly Single Item Food Drive (October through June). This year SMA was fortunate to begin, in our eighth grade class, awareness workshops given by the Food Resource Center. The class was also able to visit the St. Vincent de Paul Center for a tour and orientation. We love our community! View the upcoming community events and activities for Stella Maris Academy.